Chelsea are confident that they will agree a £35 million deal to sign Alex Oxlade-Chamberlain from Arsenal according to the Evening Standard. The Blues have apparently been working on a £35 million deal for the Arsenal utility player. Although no fee has been agreed, Chelsea are becoming increasingly confident that they can finalise the deal before the transfer deadline. Arsene Wenger would ideally like to keep the England international, having described the player as having the potential to become a “very great player”. The 23-year-old played at left-wing back on Friday night but is capable of playing as a midfielder, winger and a right-wing back. 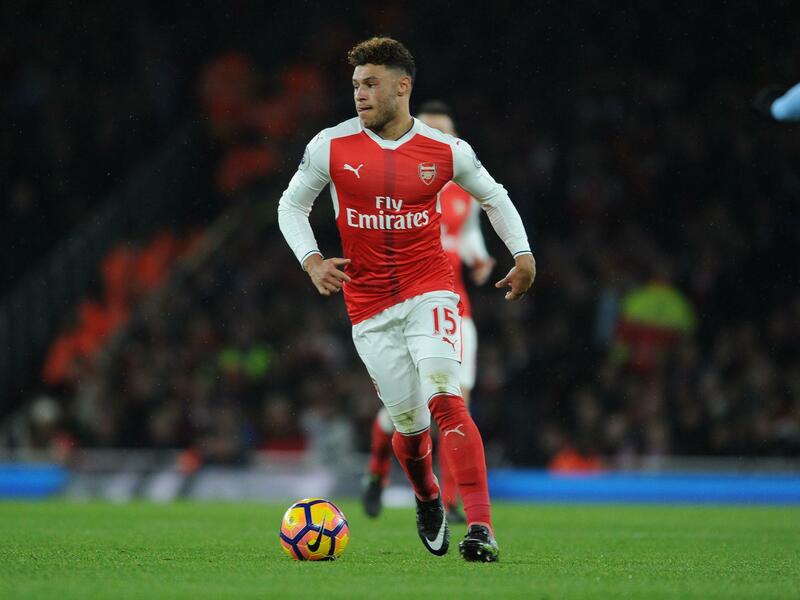 It is thought that Conte is prepared to hand Oxlade-Chamberlain the starting role at right-wing back ahead of Victor Moses. Talks have stalled between Oxlade-Chamberlain – who is in the final year of his contract – and with Wenger looking to trim his first-team squad, a deal may well occur. Share the post "Chelsea close in on £35m deal for Oxlade-Chamberlain as Wenger considers deal"